Based in Hong Kong, Cichen Shen is the Northeast Asia correspondent for Lloyd’s List. He is responsible for covering a wide range of maritime issues, from the Cosco-China Shipping merger and the growth of Chinese lessors to the collapse of Hanjin and the integration between the Japanese carriers. Cichen has interviewed many of the top business leaders in Asian shipping, including Cosco Shipping chariman Xu Lirong and ClassNK chairman Koichi Fujiwara. 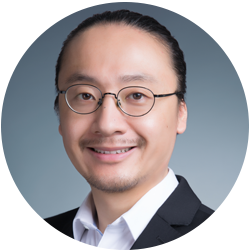 Prior to his role at Lloyd’s List, Cichen worked as a reporter for China’s Caijing Magazine in Beijing, and was a local producer for the US National Public Radio and the Canadian Broadcasting Corporation in Shanghai.